Instead of posting meal plans with good intentions, I promised to post what we actually ate last week. Here goes. Sunday we ate at the Flip Burger Boutique, where I ate the leftover bits of burger from my little girls’ plates, and a Cobb salad (greens, bacon, Bleu cheese, tomatoes, hardboiled eggs). Both were amazing. Tuesday was Reuben in a Bowl, a recipe I got from Trim Healthy Mama Cookbook: Eat Up and Slim Down with More Than 350 Healthy Recipes. It was a HUGE hit with the family. I think there may have been a moment of silence at the dinner table as everyone ate. 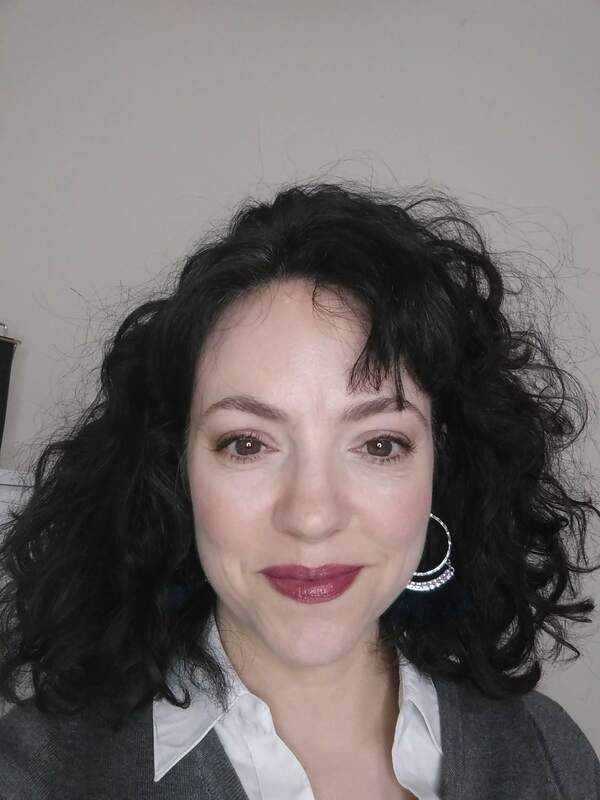 I used to love a good Reuben sandwich, but hadn’t had one for years because rye bread contains gluten. Burrito bowls – instead of trying to find expensive gluten-free tortillas, I keep gluten-free simple and we just put all the good stuff about burritos into a bowl. I cooked chicken breasts with tomatoes, chilies, cilantro and lime juice, and served it with all the fixings: avocado, sour cream, brown rice, pico de gallo. Troodle Casserole – another recipe from THM cookbook. This one is made with zucchini “noodles”. I loved it. 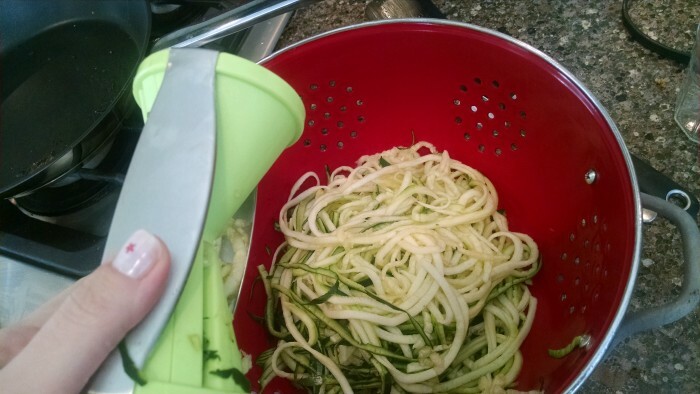 I bought a vegetable “spiralizer” for about $2 at ALDI and I can see it’s going to get much use. I think the kids enjoyed this more than gluten-free pasta, and it’s certainly cheaper and healthier. 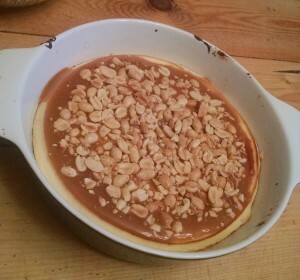 I also made a sugar-free cheesecake and topped it with a caramel-peanut topping. It was GOOD. So easy and delicious, and no sugar! Unbelievable. On Saturday, Sadie had a gymnastics competition, so dinner was ChickFilA at about 8 p.m. I had a grilled chicken salad. It was good, but the packet of dressing (I only used 1/3 of it) was TOO SWEET. My taste buds have adjusted to a sugar-free diet. Gross, CFA. 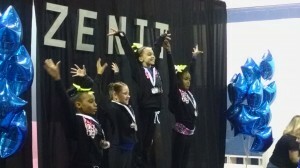 Here’s my little gymnast accepting an award for “Best All-Around” for her division.